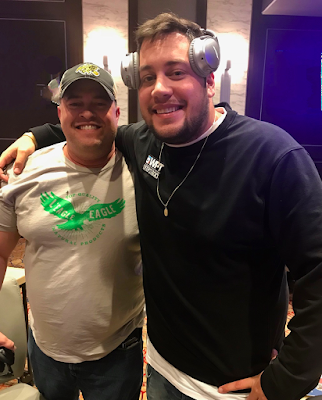 @DrewAmato scores his second Grand Opening Celebrity Bounty prize as he eliminates Jeff @FielderDream AJ > QJ. There's always a sweat, as Fielder turned a flush draw but whiffed the river. Drew earns $300 and another $200 to High Steaks Steakhouse as his bounty prize. Fielder - the December 2016 WPTDeepStacks TVPokerRoom Season Champion - finishes in 12th place, cashing for $1,624.